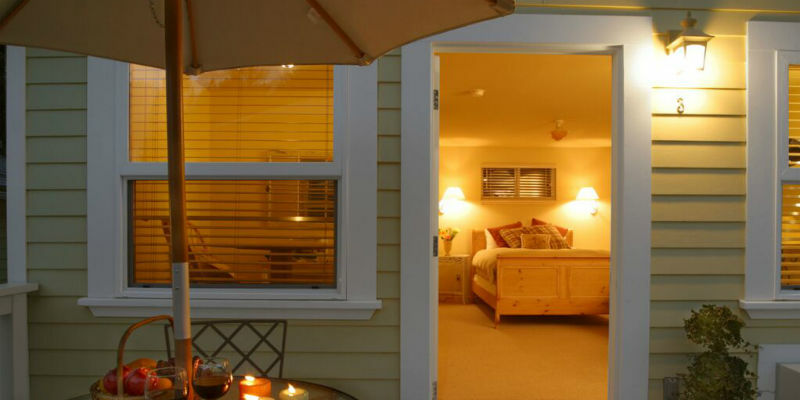 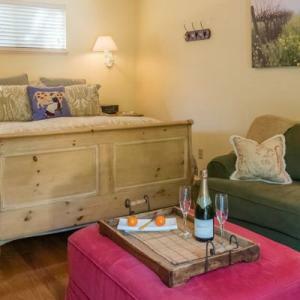 Offering you a private retreat in Napa Valley’s wine country and located in Calistoga, this haven is minutes from world-class wineries and excellent restaurants. 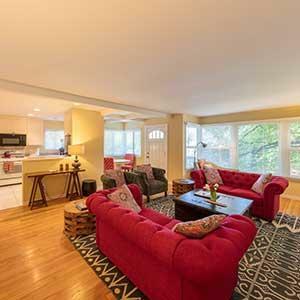 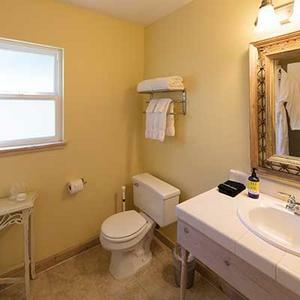 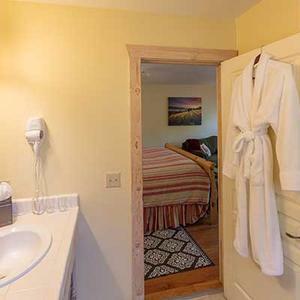 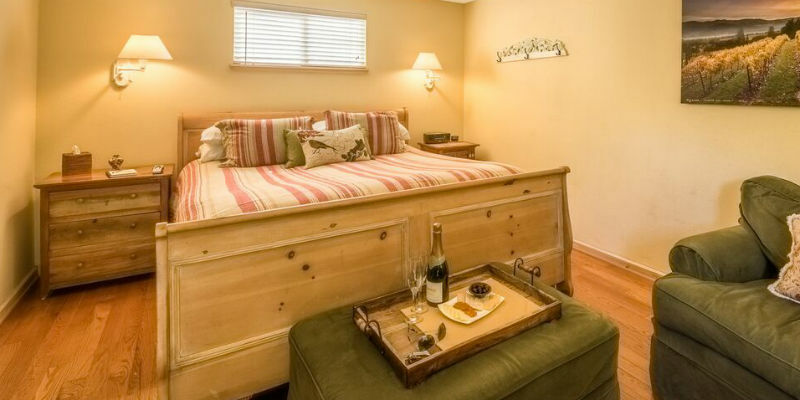 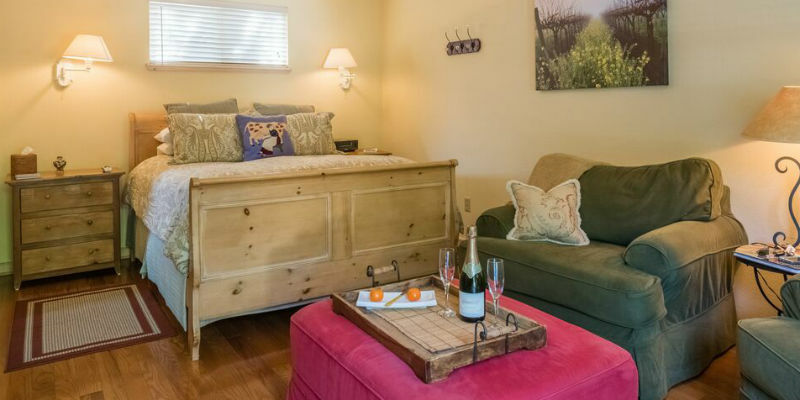 Enjoy absolute privacy in your individual guest cottage, complete with a luxuriously plush bed, cozy sitting area, breakfast nook, and bathroom. 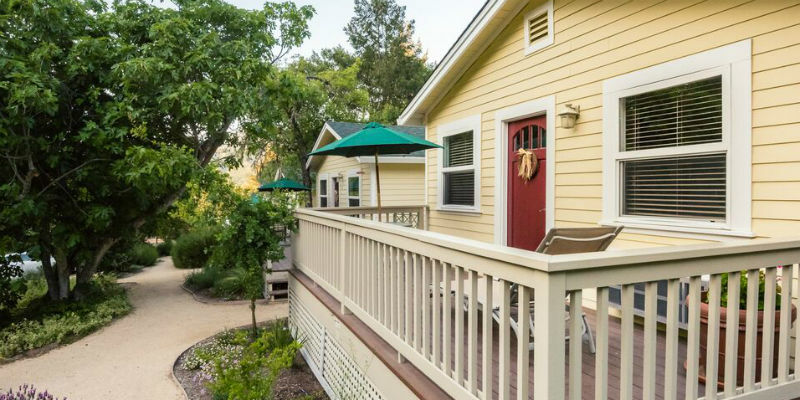 Relax on your private deck and take in the magnificent view of the Palisades mountains and majestic valley oaks. 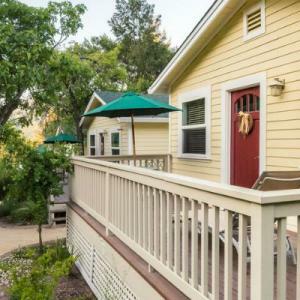 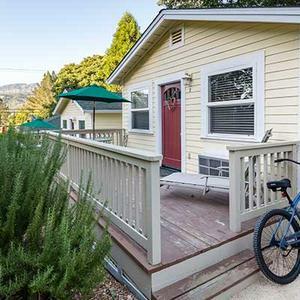 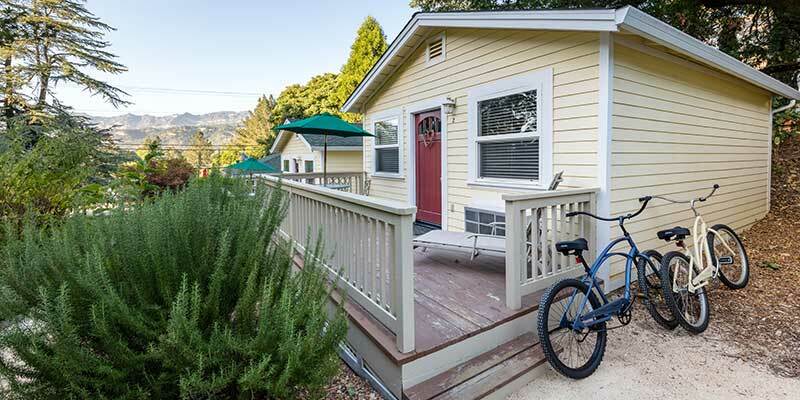 Delight in a warm pastry and fresh fruit each morning before heading off on your Aurora Park Cottages bicycle to explore Calistoga and the surrounding Napa Valley. 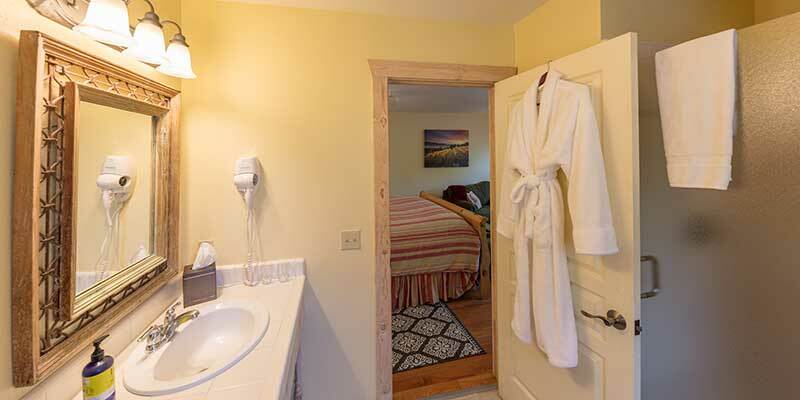 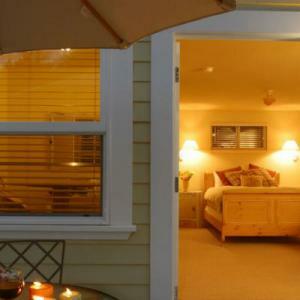 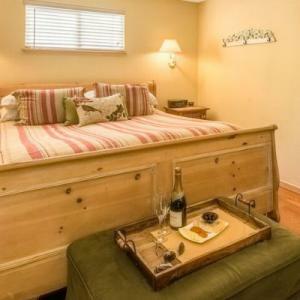 Visit our website for more cottage details and bed and breakfast amenities.